There are so many types of beautiful squash in season now. The Farmers Market has many different shapes and colors. 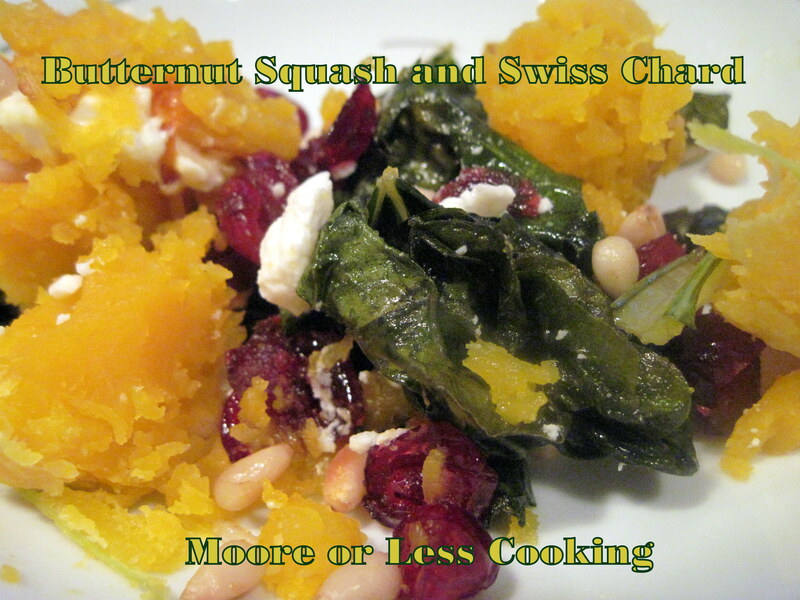 Choosing Butternut Squash, a favorite of mine for this festive side dish. Swiss chard is still abundant in my garden, perfect for this dish, the flavors play off each other. A colorful side dish for Autumn, perfect for a holiday coming up very soon. The sweetness of cranberries and the saltiness of feta cheese kicks it up a notch for this side dish along with the sweet, earthy nut. Place butternut squash halves on a large baking sheet flesh side up. Drizzle Olive Oil over squash. Season with salt and black pepper. Roast 25 minutes, until flesh is fork-tender. Reserve one half for future use. Set aside squash and let cool a bit before cutting up. Cut squash into chunks. Set aside. In a saute pan, add Olive Oil and swiss chard, saute until soft, add pine nuts, saute until light brown, add squash, stir, add cranberries and feta cheese, season with salt and pepper and Olive Oil if dry. Sir and Serve.